"Information is the ultimate weapon," this program proclaims. Based in New York City, Guerrilla News Network (GNN) is an independent news organization with a mission to expose young people to important global news and information free from corporate filters, through programming on the Web and on TV. GNN's news videos are 5 to 10 minute documentaries combining high-impact images, commentary by media experts, scholars, and political leaders with music cuts by top recording artists like Peter Gabriel and the Beastie Boys. 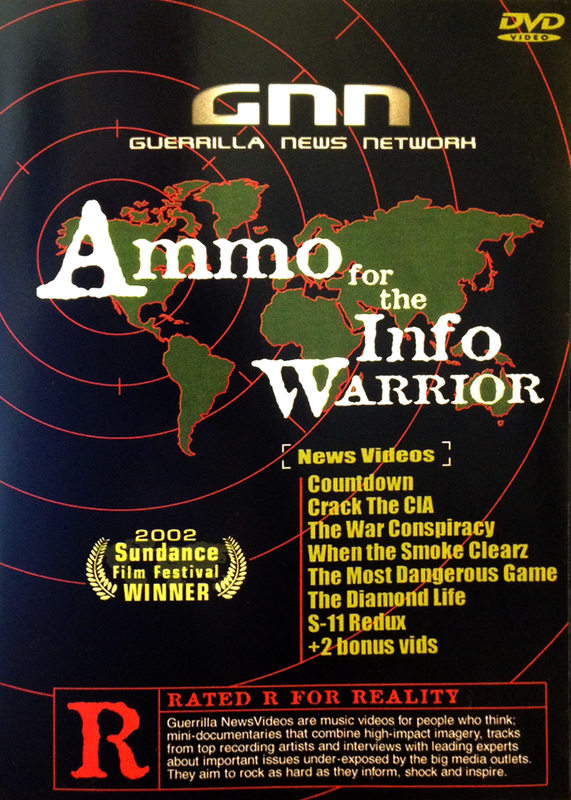 Ammo for the Info Warrior features nine of GNN's most compelling news videos -- covering a range of stories, from the violent diamond trade in Sierra Leone to the PR industry's manipulation of public opinion to slam poetry about the business of hip-hop. The collection includes Crack the CIA, a controversial video examining CIA complicity in drug trafficking.